Love your cover page. Never thought of including goals…especially in that bag-so cute! Excited to see more! 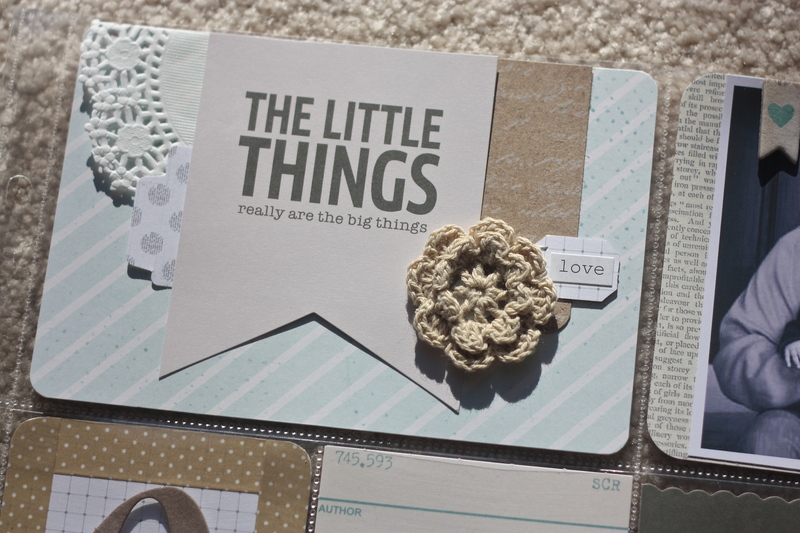 Your cover page has great ideas ALL OVER IT! And I’m going to have to steal some of them 🙂 Especially the “goals inside the envelope” one! SUCH a great idea! Wow beautiful page! 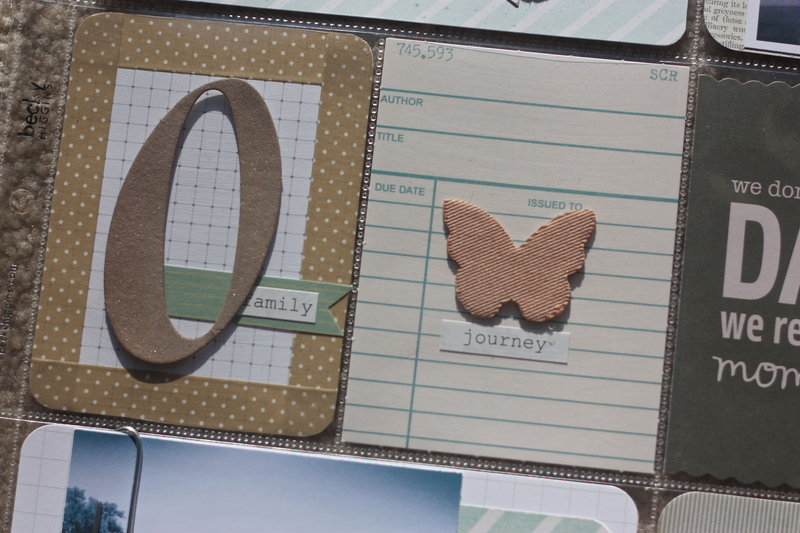 I love the little pull out tags for your goals. Very cute idea. Such an amazing cover page. Love everything about it. Ooooh I love this! I went super bright with my title page. But I love how you added pops of color with the kraft. It looks really awesome! Very pretty. 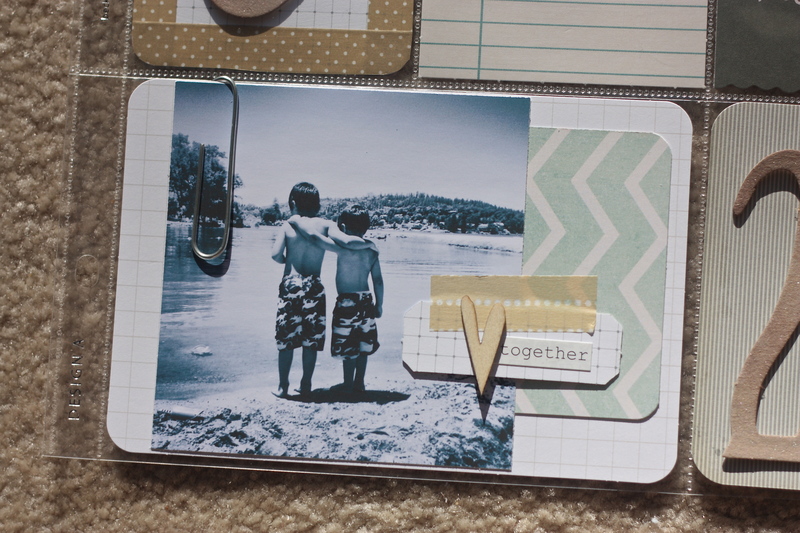 I love the washi tape as a border. I will have to remember that. Oh wow! It looks REALLY amazing. I love the goal bag. What a wonderful idea. Beautiful title page! 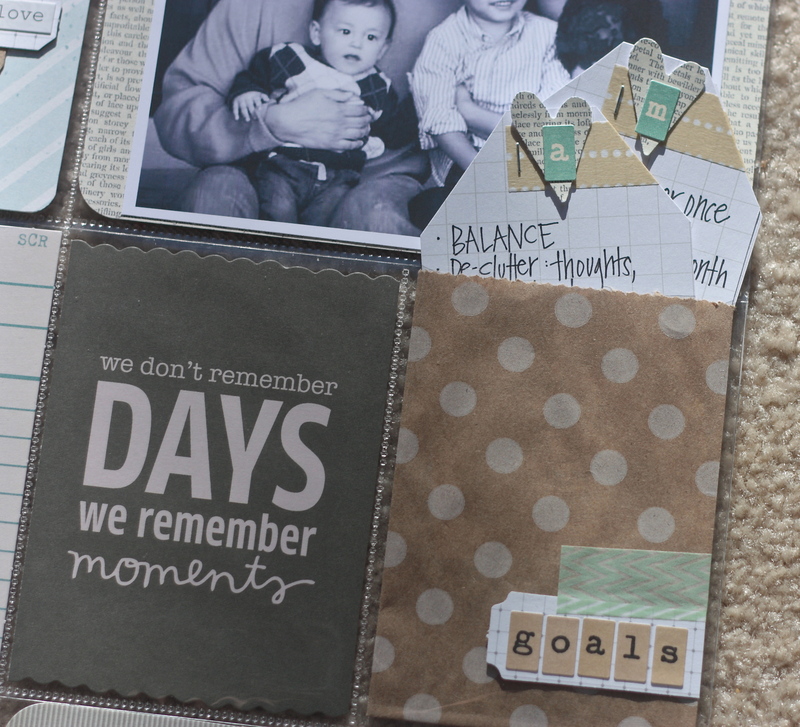 I also love the goal bag and the washi boarder. And I love all your layers and the doily and the printables. Really just a gorgeous page. 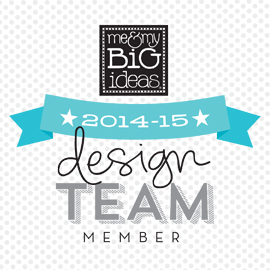 I will definitely steal the idea to turn a printable into a little pennant flag – cute!